Epiphany at St. Gabriel's, Stamford CT. This 15th of January H.E. The Most Rev. 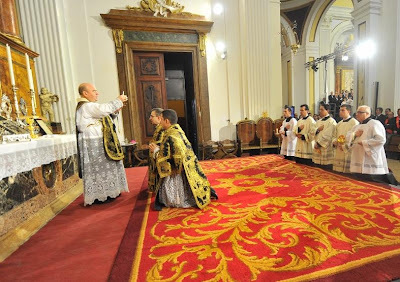 Manuel Ureña Pastor, Archbishop of Saragossa, celebrated a solemn requiem in the usus antiquior in the parish church of Epila in his diocese. 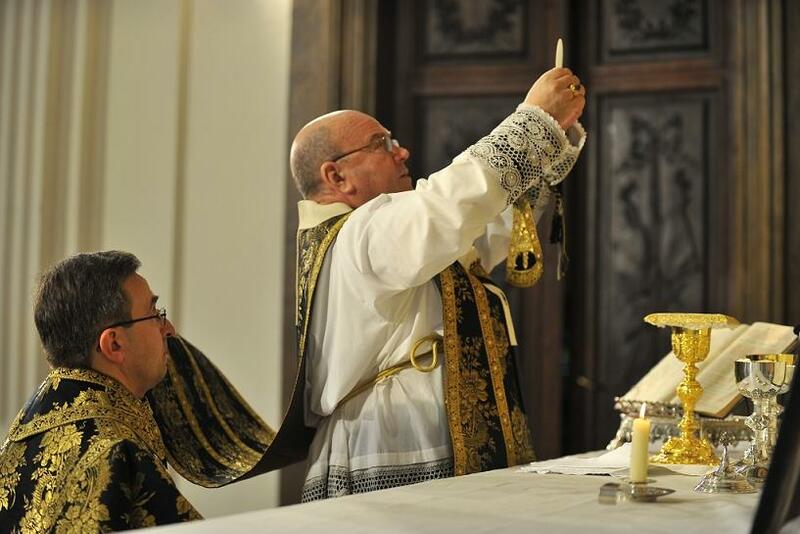 This is the first time a Spanish bishop has offered the holy sacrifice of the Mass in the Extraordinary Form in Spain since the promulgation of Summorum Pontificum. The Mass, which was also concluding the restauration works which had been carried out in the church, was attended by 1,200 faihtful, including various government representatives. The Misa de Réquiem by Mariano Rodríguez de Ledesma was sung. Msgr. Ureña had celebrated a burial according to the usus antiquior books in the same church last year, cf. NLM article here. Photos and information: Una Voce Málaga.